You should learn from others, but you have to take what you learn and put it into action down your own path. Reflecting on small wins now that I've turned 35. 6. 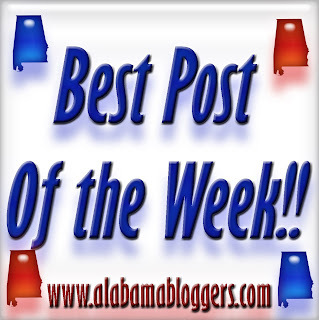 Y'all Connect - Several great experts are returning for this year's blogging/social media conference in Birmingham. 7. Birmingham Blogging Academy - Rachel chased sunsets and found a new purpose. 8. Project Bulk - A look at the numbers from this week. We ran a financial literacy fair in Auburn. It was a great experience.